“Which homes for sale near Santa Clarita Elementary School – Saugus CA would mean my children could attend this well scoring school?” Please scroll down for school information and Santa Clarita elementary school website. This is one of the most important of many questions parents ask when beginning their search for homes for sale near Santa Clarita Elementary School – Saugus CA. The school is located within the Saugus Union School District. It is both disappointing, and a waste of precious time if you find homes for sale near Santa Clarita Elementary School – Saugus CA you love, and believe that your child can attend, only to find out it is not within the schools attendance boundaries. Look without wasting your time. 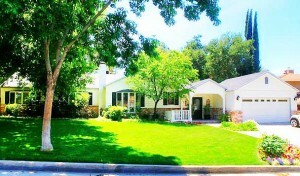 All homes for sale near Santa Clarita Elementary School – Saugus CA (link to page on web site). Page is constantly updated and includes homes in areas of Saugus CA and Valencia CA. Today Homes in Valencia North, south of Pamplico and west of Seco Canyon Rd., are some of the single family homes where you will find homes for sale near Santa Clarita Elementary School. Valencia Racquet offer attached single family homes while older and remodeled homes in the Claridge, Monteverde etc tract neighborhoods. offer single family homes, some with quite spectacular views of Santa Clarita CA. Some of Saugus CA older homes are found within the boundaries of the Santa Clarita Elementary School. These homes have large lots and frontages, and are mostly single story homes that have been extensively remodeled. There are good reasons to look for homes for sale near Santa Clarita Elementary School. Click here for school website. The staff of Santa Clarita Elementary is a dedicated group of highly qualified professionals. Our mission is to create an environment where people of integrity work together with respect and passion. We are committed to providing excellence in education while modeling good character in order to shape young lives to become productive citizens of tomorrow. You can’t hide that bulldog pride. Santa Clarita Elementary is the oldest of sixteen elementary schools within the Saugus Union School District in the city of Santa Clarita, California. The Saugus Union School District and Santa Clarita Elementary possess a long tradition of high expectations, excellence and pride. Santa Clarita has consistently had A.P.I. Scores above “800” since its inception. Santa Clarita opened its doors to students for the first time in 1960. As our community is a relatively young one, homes and multiple dwelling units in our boundary area are relatively older in comparison to neighboring school areas. Santa Clarita’s 550 kindergarten through sixth grade regular education students, and its approximately 75 SDC preschool and kindergarten students, are currently a mix of students in terms of the socioeconomic status and ethnicity of their families. Each new student and family is welcomed with opened arms and a warm heart. We view ourselves as one large family when it comes to the instructional and personal well-being of our students and their families. Our school prides itself in having wonderful parent and community involvement through our parent/staff leadership committees and our Parent Teacher Club (PTC). Our PTC supports our students and staff by funding, or co-funding specialists in the areas of Physical Education, Library and Computer Technology to augment our instructional program. Our PTC supports field trips for every grade, as well as instructional materials and technology. The PTC also funds our school-wide and grade level assembly programs and supports our extensive variety of after-school enrichment classes. Santa Clarita is very proud of its tradition of academic excellence and caring. It is a school community in which learning is nurtured and celebrated. Click here for Santa Clarita Elementary School ranking and test scores.